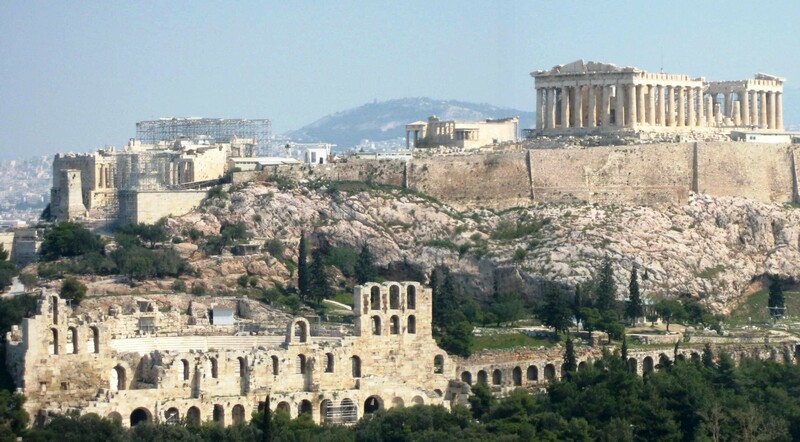 A full day tour of Athens, visiting the Acropolis, Plaka and the National Archaeological Museum! Children up to 11 years old. After a visit to the Acropolis and its famous landmarks, your tour takes you on a scenic drive though the highlights of Athens. Admire the Propylaea, the temple of Apteros Niki, the Erectheum, and stand in awe in front of the Parthenon. You'll then have some free time to wander around the old district, Plaka. Then take a drive passing by numerous points of interest and the best-known city landmarks before arriving to your lunch venue. After, visit the National Archaeological Museum, housing an unrivaled collection of treasures of Cycladic, Minoan, Mycenaean, and Classical Greek Art. A few of the museum's most important exhibits include the bronze statue of Poseidon, Head of Hygeia (Goddess of Health), bronze statue of the 'Jockey-Boy' of Artemision, Golden Mask of Agamemnon and brilliant Minoan-style frescoes from Thira (Santorini). Following your visit to the museum, you will return to your ship in Piraeus. Note: The Acropolis is explored on foot and requires approximately two hours of walking. There are some 75 steps at the entrance and in certain locations the marble is uneven and slippery. We advise that you bring a bottle of water and suitable sun protection.